I read partiallythe study report of Compact City Policies by OECD (2013). Here are some notesabout it. Density requirements and mixed-use requirements are increasingly popular regulatory tools… minimum density requirements. Sub-density tax. I haven’t heard about (or have forgotten?) the words such as “minimum density requirements” and “sub-density tax” which are interesting. Toyama’s policies seem much costly, and its sustainability is doubtful. We must keep looking at it carefully. PDF file is not published for free, so keyword search isn’t working. It's a bother. Narrow space between the lines and too many letters make it difficult to read. There are nearly 300 pages in this way, which demotivate the readers a lot. In fact I didn’t read all. 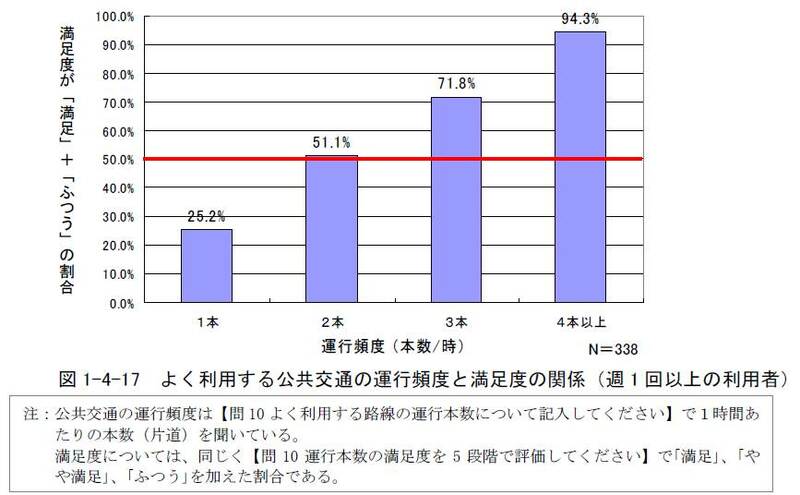 Source: “Residential Survey on Public Transport at Toyama City” 2006 in public transport revitalisation plan in Toyama city 2007.